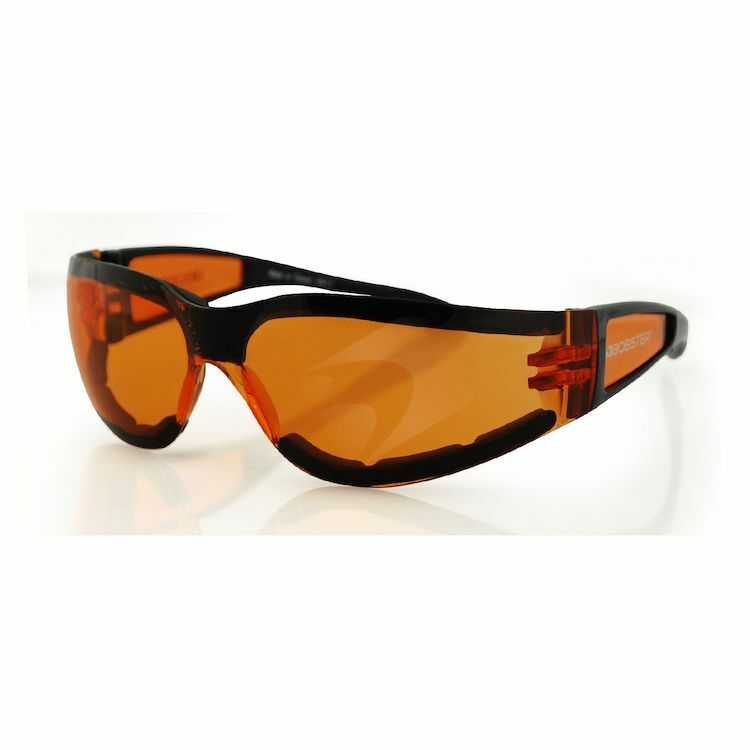 The Bobster Shield II sunglasses offer a frameless construction with the impact resistant polycarbonate lenses. Lined with closed cell foam to minimize wind disruption, this eyewear is available in several different color combinations. Scratched my transitions from HD and need something for night riding. These are light and have great coverage. Very happy with my choice. I wish they would have red with clears since my bike is red, but it's dark, so who can tell. They're not the greatest sunglasses you can get but they're cheap. As a pair to keep with the bike and not be worried about losing or damaging they're fine. I love it, however I lost then within a week. Even though I have a fairly small head these glasses are tight and didn't fit snug, they let air into the eyes. While I am pleased with the clarity of the lenses and the really low price of these glasses, unfortunately they squish the crap out of my head while wearing them inside my full faced helmet. Also, the. Ends of the arms are quite pointy and precision is required when putting them on inside my helmet. Great pair of secondary glasses for the price. Fit is a little larger than expected, but overall nice pair of glasses. I ordered clear and smoke versions. Like both, wish they kept out a little more wind. For short trips they and around town they are fine. Had higher expectations, but still like them. Keeps wind out more than other glasses, but not as much as I was hoping for. Wind still sneaks in through the corner/space on the bridge of the nose. Got three pairs since I live abroad and reviews looked so good. Still use them a lot though!